Exotic car transport by CanAm Transportation Inc.
We provide exotic car transport to our clients in Illinois and across the United States. We can also help you in making arrangements for shipping your exotic car overseas. On the videos below there are just a few examples of cars we’ve recently transported. If you are looking for safe and damage free transportation of exotic automobiles, European sports cars, classic automobiles transport, muscle cars moving, antique / vintage vehicles, and collectible motor vehicles, we’ll be happy to do it for you. Your vehicle will be secured in an enclosed trailer and carefully deliver to a destination of your choice. Click the “General Vehicle Transport Quote” button on the right or simply give us a call for a quote. The first two videos show loading of the Acura NSX inside an enclosed trailer. All four wheels are carefully secured using ratchet soft straps to prevent vehicle from shifting during transportation procedure. The video shows enclosed trailer transport of Porsche 911 Carrera 4 GTS. 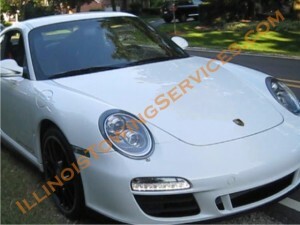 This European sports car was transported from the dealership and delivered to a client.